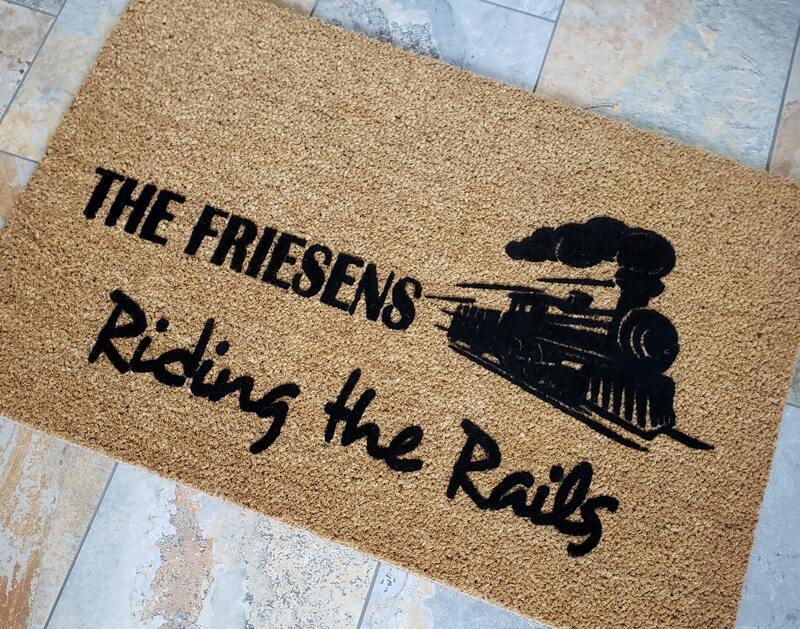 This mat makes a wonderful gift for those friends and family members who love an Adventure! 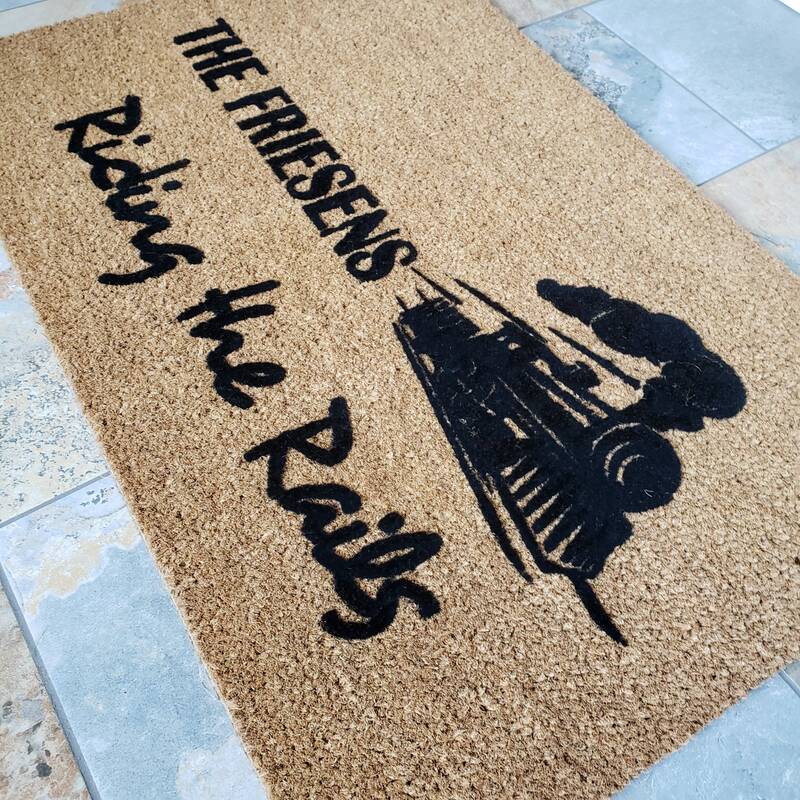 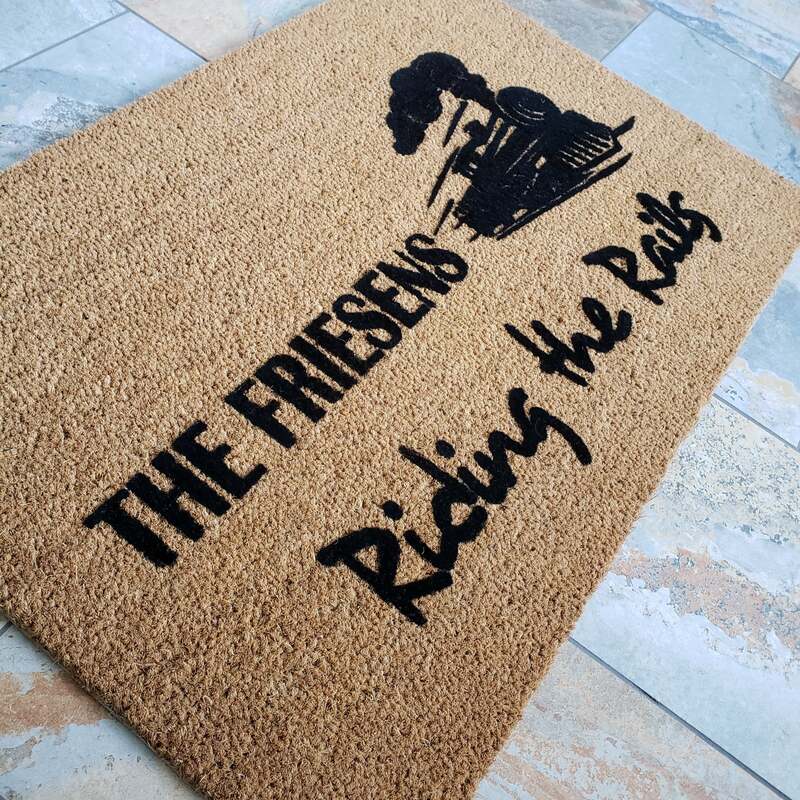 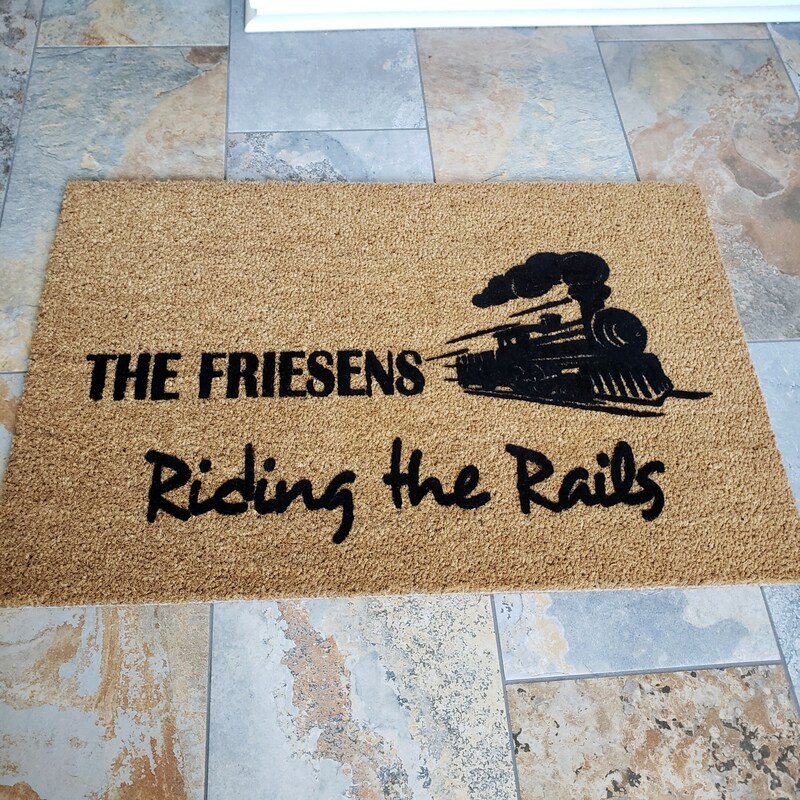 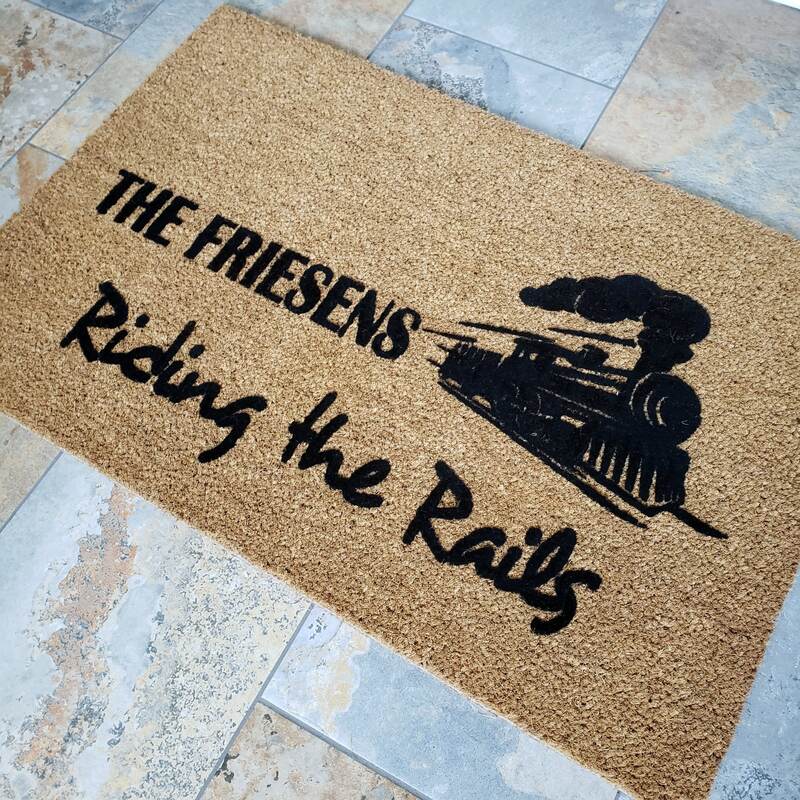 This "Riding the Rails" doormat is simple yet classy and adds a bit of adventure to your front entryway. 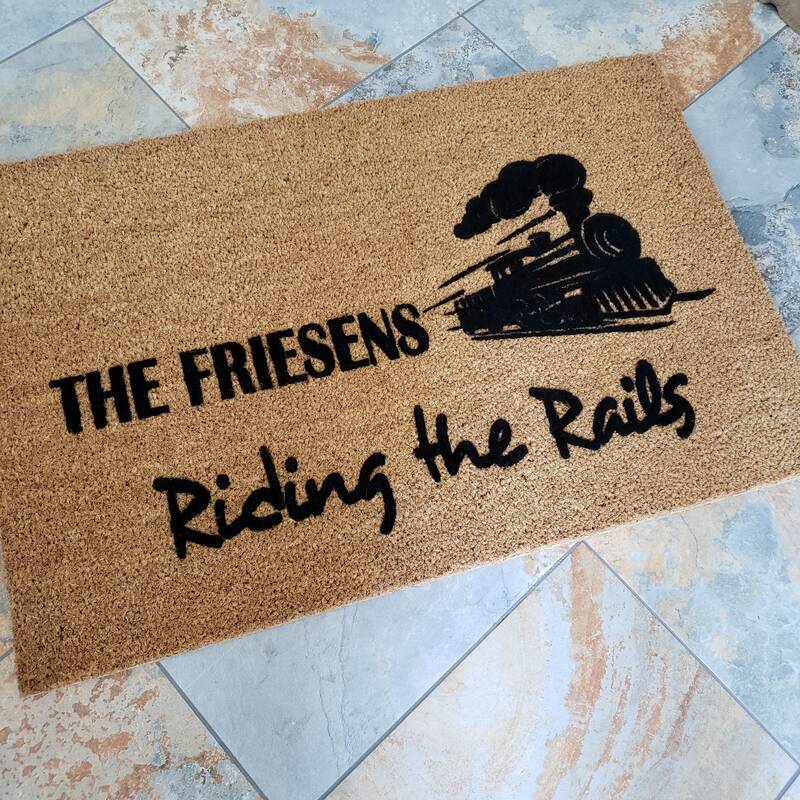 For the Train Lover in your life!